Move the stuff you want, when you want with the CJay Urban Trailer Series. 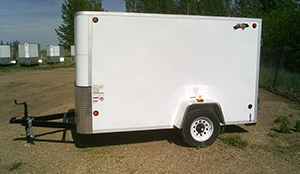 This small enclosed trailer is perfect for all your needs, from moving to construction or landscaping. 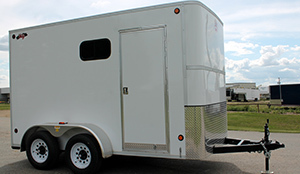 Customizable to fit your needs, this enclosed trailer works for your exact storage and hauling needs. 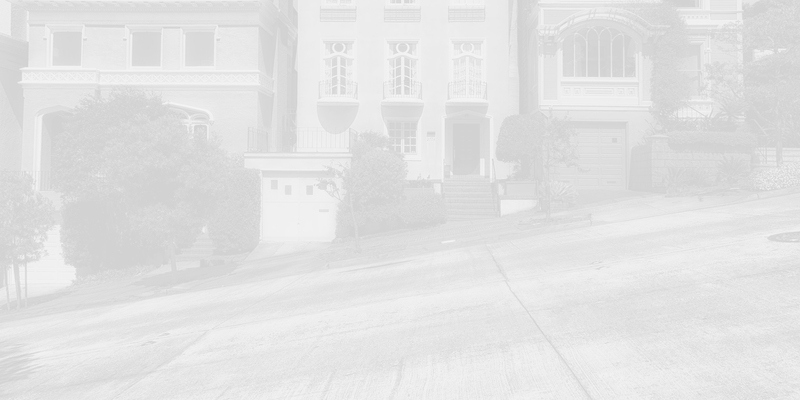 Keep your belongings safe and secure with our Urban Trailer Series. Transport your garden tractor, tools, bikes, and gear. Furniture moving has never been easier. Don’t make two trips when you can do it all with a CJay Urban Trailer. 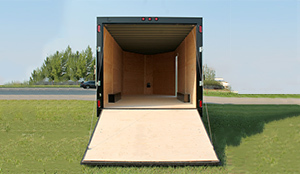 As a moving trailer, CJay makes it easier for you to do the job. Customize it with a spring assisted door to avoid the step up and have the ability to get a trolly up to load and unload. 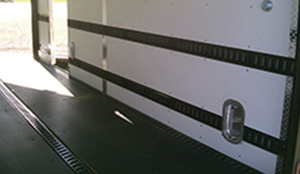 Add a side door to make it easier to access the front after you’re fully loaded. 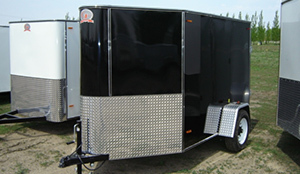 These enclosed trailers are perfect for landscaping jobs. 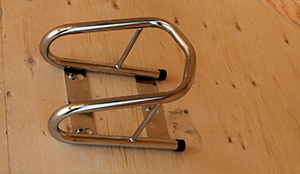 E-tracking is available for you to add custom components for storage and keeping items secure. You also have the option of a rear cargo door or a spring assisted rear door to make it easier to load and unload your garden tractor. 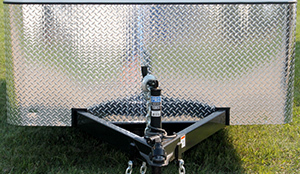 The front includes an aluminum rock guard to protect the trailer from whatever your truck may be kicking up on site. Looking for a trailer that can handle tools as well as gravel or soil? Check out our combination trailer series. Our contractor trailer series also offers a larger option if you’re in construction or have more equipment to store. 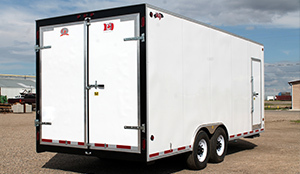 CJay enclosed trailers are built to last. With a 5 year structural main frame warranty that’s much longer than most other trailer manufacturers, we stand by our name and quality. Contact us if you have any questions or request a quote below and we’ll be happy to help you get the exact trailer you’re needing.